5'11" x 19 3/4" x 2 1/2" swallowtail. $450 with Griffin's handfoiled G10 fins/$400 without. Like new - ridden a handful of times. 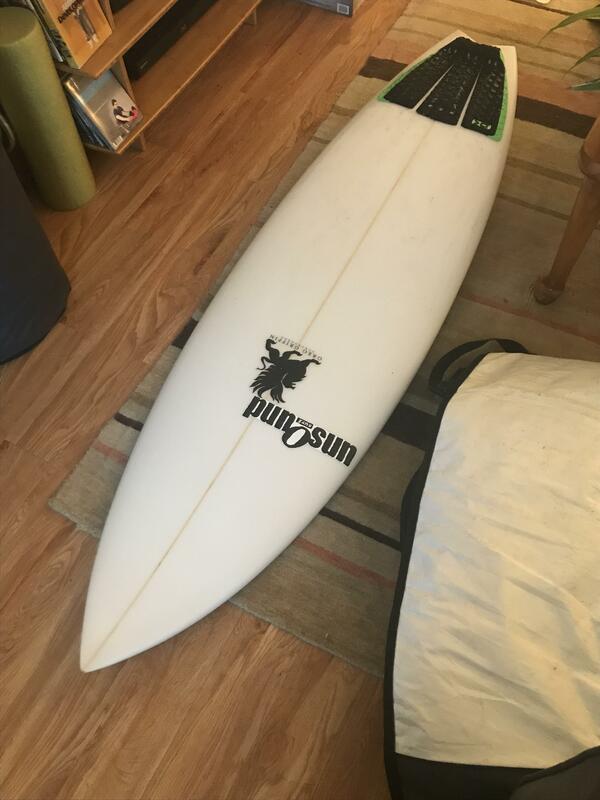 Selling because I generally like 5'9/5'10 for my normal boards - want to sell this one for a slightly shorter one. Still bright white/only minor pressure dents on deck. Will post photos later tonight. Feel free to post or PM with any questions. Open to offers - board is seriously like new! Page created in 0.384 seconds with 48 queries.